Jon Richardson Chats To ZOO About Footballers, Anxiety And Groupies! Jon Richardson, host of Channel 4’s Stand Up For The Week, team captain on 8 Out Of 10 Cats, Edinburgh Comedy Award nominee, best-selling author, raconteur, and modern day heart-throb, will be releasing hisdebut DVD Funny Magnet on 19th November from Universal Pictures (UK). Funny Magnet is Jon’s highly anticipated first DVD release and set to become the break-through must have stand-up comedy DVD of the year. Do you get much attention in general? Occasionally. A builder once pulled me up and told me to stop taking the p*ss out of John Terry. So I told him to tell John Terry to stop sleeping with other people’s wives. Do footballers give you some good material? Sometimes, but doing the sport section on Stand Up For The Week was tricky on occasions. I remember the week Osama Bin Laden got shot. Every comedian in the country was talking about it and I was scratching around for something Ashley Cole had said on Twitter! Honest tweet: My DVD has served its sentence and is released today. A civilised society would give it a home and a future. Remember Brooks. Not quite sure why Liverpool’s Jose Enrique posted this picture on twitter ! Liverpool’s Jose Enrique Posted this via his Twitter account. Im not sure why are you ? According to the Huffington Post ; An NFL linebacker is feeling the heat in the lesbian, gay, bisexual and transgender (LGBT) blogosphere after a series of controversial tweets which some have deemed anti-gay. I want to sincerely apologize for the word I used! I did not in anyway mean to offend anyone! That tweet doesn’t define me as a person! Tottenham defender Kyle Walker has deleted his Twitter account after receiving abuse on the micro-blogging website about his performance in the 4-2 defeat to Chelsea. He told the Daily Mail: “I told my missus that I was coming off it. I thought I needed to concentrate on my own performances for a few weeks. “I’ll keep working and doing the extra that I need to. Hopefully, my form will come back. I want to concentrate on my football again instead of tweeting. “I have probably come off at the wrong time. People are saying it’s a problem with Spurs’ fans – it definitely isn’t that. “When 250,000 people follow you, not everyone is going to be happy. And it’s hard to keep everyone happy, so you have to be thick-skinned. “Genuine supporters have been fully behind me. I appreciate that and I’m thankful for it. Whilst Roy and the boys were left pondering the fiasco in the Warsaw stadium last night millions of us were left with time on our hands as the Fifa officials were deciding what to do with the ball. Please postpone it now. Enough is enough! Why can’t I bring myself to change channels? Whilst Roy insisted on proving his point ! Some fans got bored and took to the pitch ! Pitch invader escapes a steward who – rather predictably – goes flying in the water. Invader then does a Tom Daley. It’s that sort of night. Roy and the boys just didnt know what to do ? 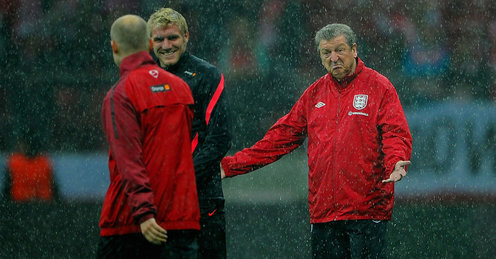 Stewart Drowning, Rain Rooney. Over to you to finish the Water Farce! England XI…. ITV must be desperate for this game to happen tonight…it’s their Live Emmerdale tomorrow so won’t get any pre-match build up time. 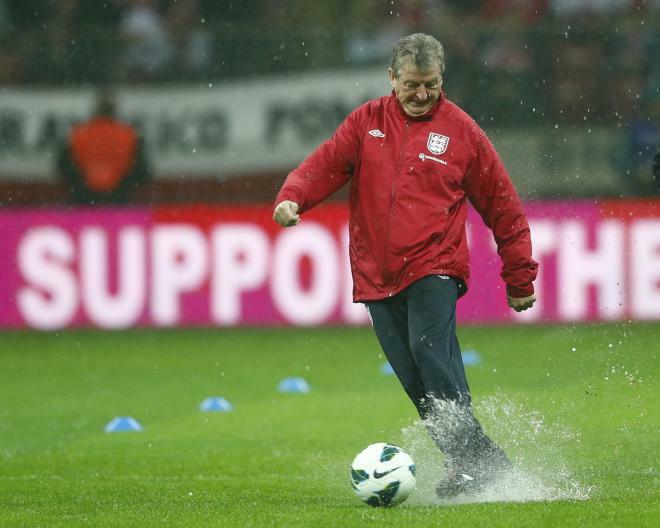 If this was a cricket match in Poland we’d have started on time and played through the light drizzle! 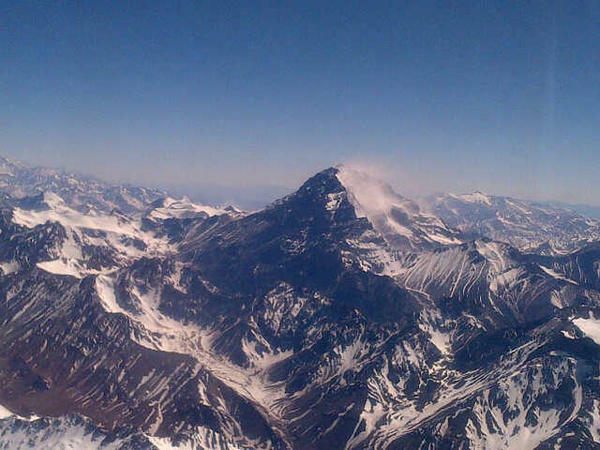 Sergio Aguero took the opportunity to snap what he called ” a pretty imposing” picture from the airplane window whilst travelling to Chile from Argentina this morning.